Heartless thieves have been pinching stones from the wall surrounding a council-owned graveyard. Sections of the drystane dyke at Hills of Dunipace cemetery have been mysteriously disappearing in the middle of the night. Now Falkirk Council says it will have to divert funds from other projects to repair the wall – despite this work already been carried out in the past. Concerned locals had contacted Councillor David Grant to highlight the vandalism. He said: “The cemetery is gorgeous and people should respect it. “But people have been stealing parts of the drystane dyke at the cemetery and leaving huge gaps. Chunks of it are missing. It is disgusting. He added that the theft of stones had started at one end of the wall and those responsible were working their way down. Mr Grant said: “The fact they are taking it is really disrespectful to the cemetery, the area and the residents which is totally unacceptable. “We believe they are taking the material because it is too expensive to buy and people want this type of stone to build a wall in their gardens. “The council might have to put up a fence to stop this but this would spoil the entrance to the cemetery. 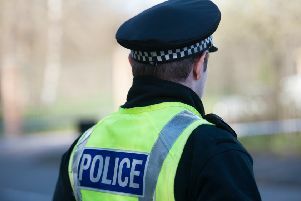 A Falkirk Council spokesperson said: “It is truly disappointing to see that vandalism and theft is taking place at the cemetery and would urge anyone with any knowledge to get in touch with the police as soon as possible. Anyone who notices unusual behaviour at the cemetery can call the police on 101 or contact Crimestoppers on 0800 555 111 where information can be given anonymously.